Akorn trialled the Primary FSA in 2017 with the assistance of a MakerSpace Grant provided by the Government. The 2017 program was facilitated to more than 200 primary students in three regional primary schools. 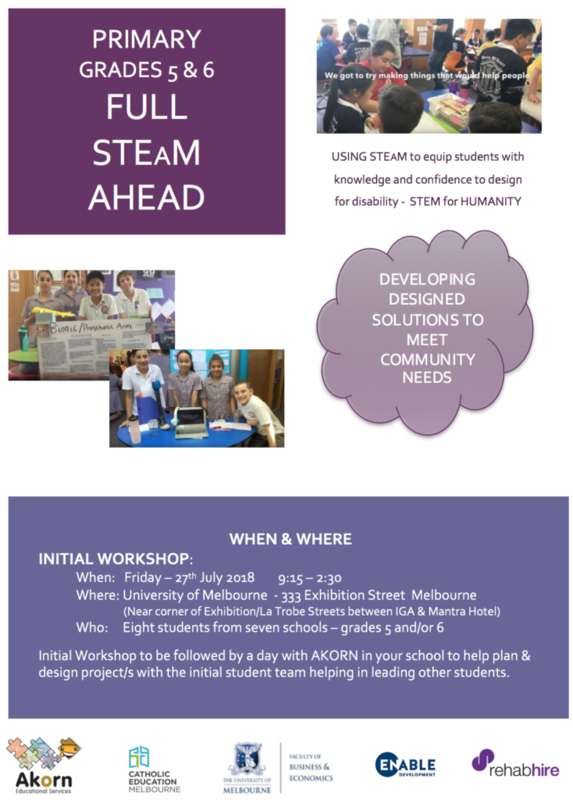 The Primary FULL STEaM AHEAD program was designed as an immersive project based learning experience that focused on designing for people with disability with the focus on empathy building, universal design (critical thinking), a social model of disability, and the application of STEM skills. During the initial workshop launch (at Engineers Australia, Melbourne), students had an opportunity to experience what it would be like living with a disability (i.e. using mobility aids, and similar equipment). Through this – the students experienced physical, sensory & intellectual disability. 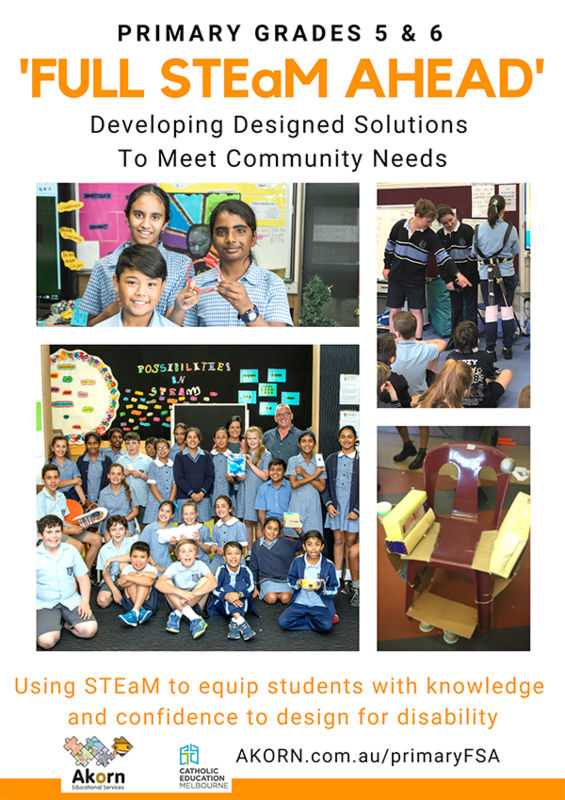 At their own schools, students worked in collaborative teams in their newly established or existing Maker Spaces research, use the design thinking processes and newly learned STEM skills to work through the process of making their Assistive Devices, along with relevant information sheets, posters, etc.